In the 1950s, there were over 700 grain elevators in Manitoba. Today, there are fewer than 150. 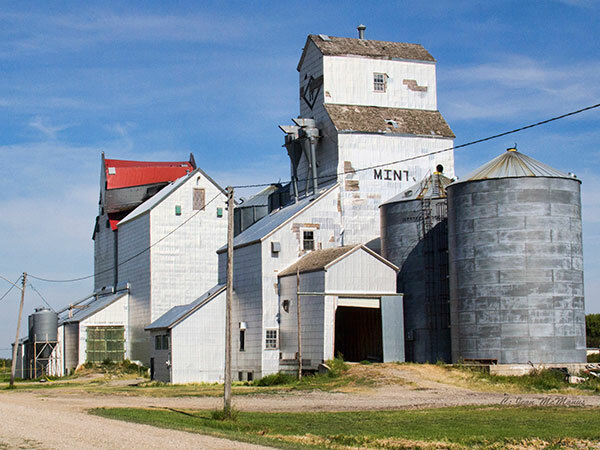 Learn about the legacy of these disappearing “prairie giants” and help by sharing information about an elevator—existing or gone—in your community. Is the Manitoba Historial Society interested in ALL elevators, or only ones that are now gone? We are interested in ALL elevators in Manitoba, whatever their present status. This includes wooden elevators, concrete elevators, and steel elevators. Is there a list of elevators? 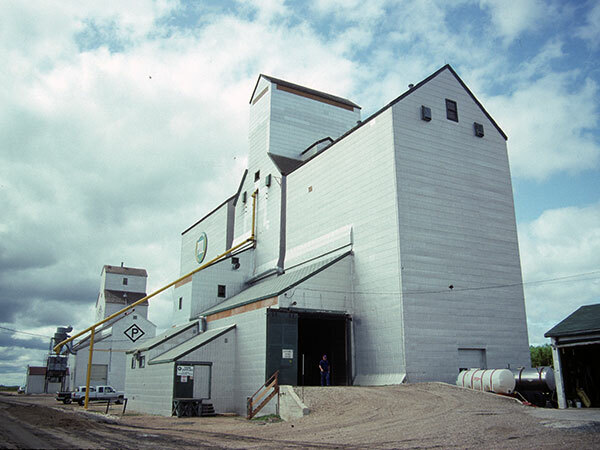 A list of elevators about which we have received some information so far is available here and a map showing some elevator locations in Manitoba is available here. If you have information about an elevator, whether or not it is on this list or map, we want to hear from you about it. 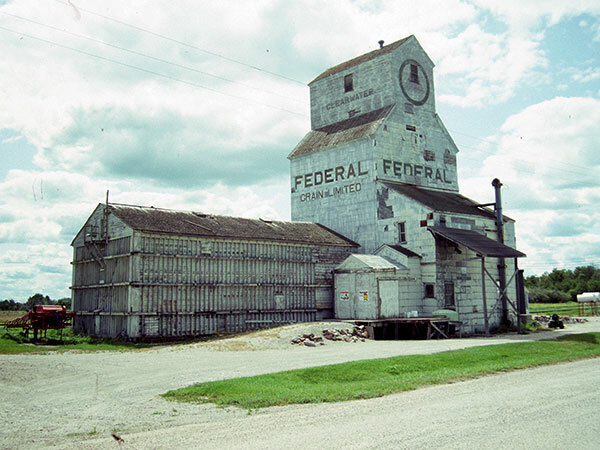 A list of surviving grain elevators in Manitoba is available here. Does the Manitoba Historical Society have more information about grain elevators? Are there other online sources of information for Manitoba grain elevators? 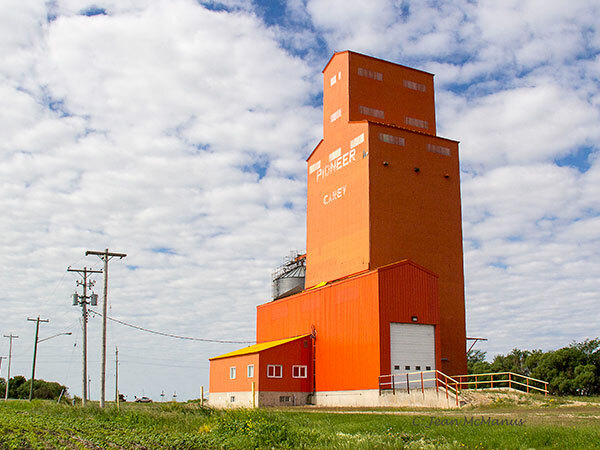 What is the oldest grain elevator in Manitoba? 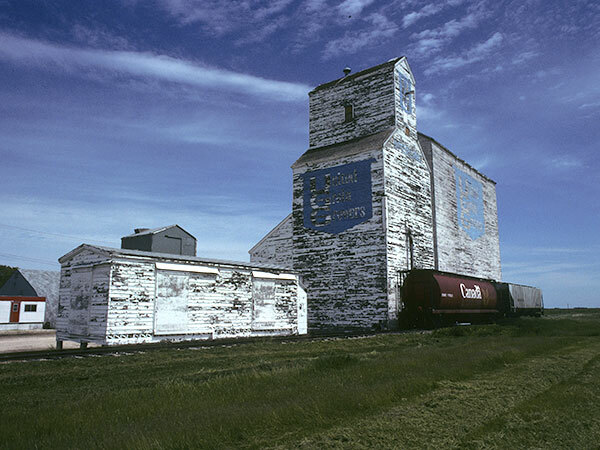 The oldest surviving grain elevator in Manitoba (and, in fact, all of Canada) is believed to be the one at Elva, constructed in 1897. What places had elevators along the Canadian National and Canadian Pacific railway lines in Manitoba? 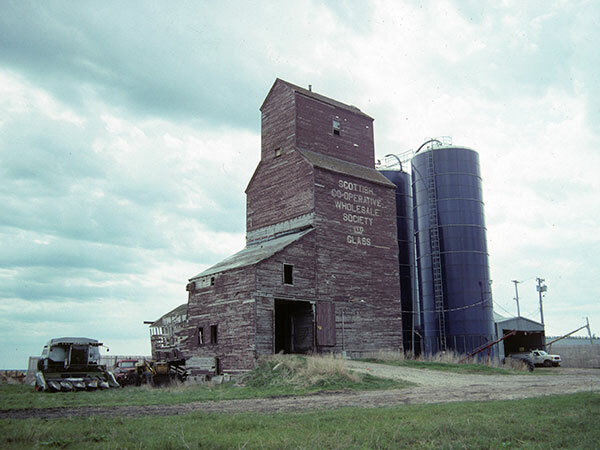 What grain companies had elevators in Manitoba? Where can I purchase photos / drawings / paintings of grain elevators? Winnipeg artist Joel Bouchard creates and sells original paintings of grain elevators in Manitoba, Saskatchewan, and Alberta. Alberta historian Jim Pearson sells a calendar of grain elevators in Manitoba, Saskatchewan, and Alberta. Who can I contact with questions and comments about the This Old Elevator project? You can contact Gordon Goldsborough at the Manitoba Historical Society at gordon@mhs.mb.ca. Thank you for helping with the This Old Elevator project of the Manitoba Historical Society in collaboration with Manitoba Co-operator. Please provide information about ONE ELEVATOR in the form below. If there were several elevators at the same location, such as ones owned by different companies, please enter information for each one separately. Feel free to leave spaces blank. Press the Submit information button to send the completed form to the Manitoba Historical Society. If you prefer to provide information by email, send it to elevators@mhs.mb.ca. Or you can leave a telephone message at 204-474-7469. Questions? Answers to some frequently asked questions are available above. We thank Jean McManus, Glenn Dickson, Bernie Freeman, Mike Lisowski, George Penner, and Ed Ledohowski for providing information used here.